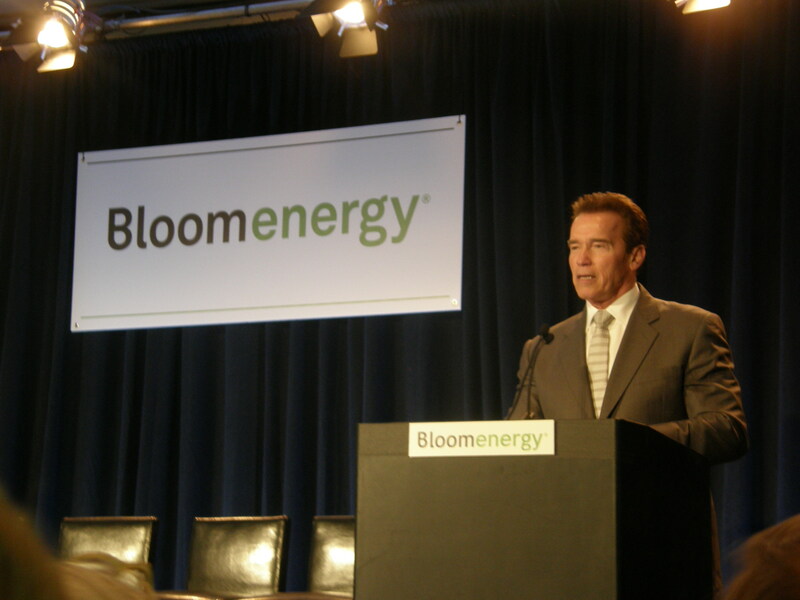 LIVE: The Bloom Energy Unveiling Event! We’re here live at the official unveiling of Bloom Energy’s Bloom Box. The 8-year-old company that has raised close to $400 million is finally showing off its fuel cell after a huge PR blitz that started Sunday with a “60 Minutes” video and an article in Fortune. Here’s some of our coverage this week of Bloom: 10 Things to Know About Bloom Energy, The Bloom Box: What All the Fuss Is About, 10 Fuel Cell Startups Hot on Bloom Energy’s Trail. The event starts at 8:30AM, and California Governor Arnold Schwarzenegger, and General Colin Powell are supposed to be here – stay tuned. Founder K.R. Sridhar takes the stage and introduces California Governor Schwarzenegger. 8:58AM: Sridhar takes the stage again. “It started on Mars.” The thought of handing our children a broken planet is not what I thought we should do. 2 billion people don’t have affordable access to energy. You can’t conserve your way out of this probelm, you can’t drill or mine or burn your way out of this problem. We simply have to find a different way. We saw this as a call to our generation to make an impact. An impact that can do good and make good. The world needs accessible, affordable energy that is sustainable. Why don’t we follow examples of success: computing — provided access in places we never dreamed 20 years ago — cell phones — you can go to a tiny village and everyone has cell phones. To wireless spread needed to be distributed and also reliable and affordable. Is that bar sufficient for energy? No. The bar is slightly higher. That bar is clean. It also had to be clean. Why clean? When you take a power plant that is hundreds of miles away putting out dirty emissions, either the dirty emissions have to go to you have to go. For energy to be distributed it had to be clean. That was our calling and we at Bloom had to play a part in that. In the Valley companies are founded with a technology, a product, and what markets can I serve. This company was founded on we saw the problem and thought what is the product that will deliver this? The need for backyard power to be clean is a centuries old idea — we just have to go back to it. Distributed electricity — Thomas Edison had this idea. He was way before his time. The fuel cell. Yes folks, we did not invent the fuel cell — 1830s. 9:10: The core of our technology. The core of our technology simply is sand — available in plenty, on multiple continents on ocean beaches. From this sand you get zirconium oxide. Shows off flat piece of sand. 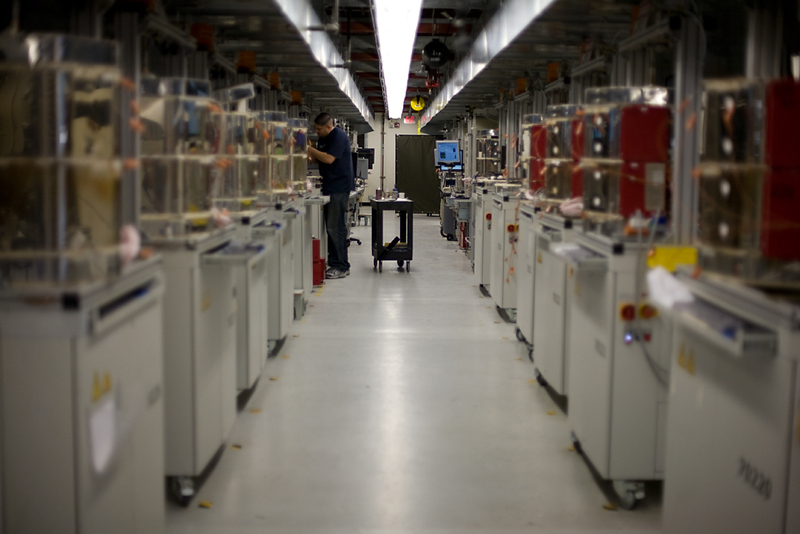 We take this material and do a process we call “powder to powder.” We use mass manufacturing techniques that the semiconductor industry developed a long time ago. 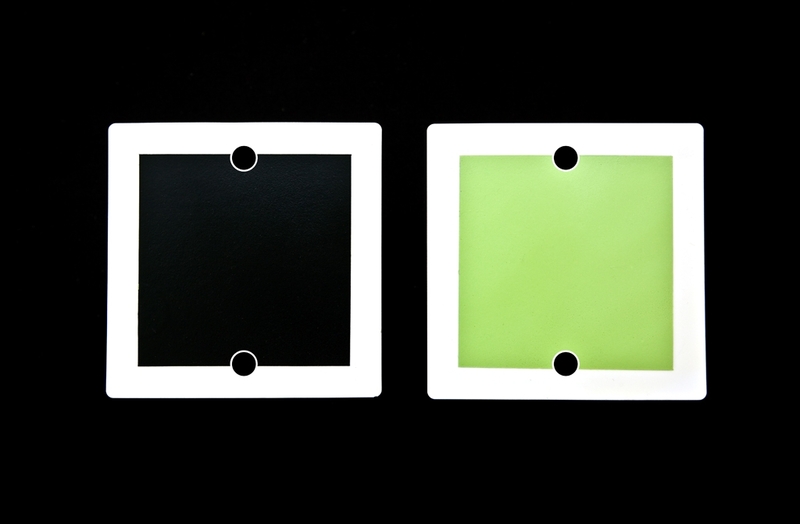 The uniqueness of this 4 things: affordable, the kind of fuels that we can use, we can both use as energy reducing and energy storage device, and electricity performance efficiency. No precious metals, no acids. We can use a variety of fuels, without the need for chemical plants that are complex. In a few years how we will use it is to home energy server of the future. It simply has a solar panel and one of our Bloom Home Energy servers. Together it will give you electricity day and night and also charge your automobile. This is a product of the future — a decade or there abouts. Twice as efficient as U.S. grid. Need half the fuel of grid. Half traditional fuels. If you use a carbon-friendly fuel you’re neutral. Isn’t that wonderful? This is 24-hour power – not when the sun shines and the wind blow. That’s how this simple piece of sand is different from others. Think of the stack as a chip. Take a bunch of the stacks, put together in a box, about the size of a refrigerator and its about the size of powering a small coffee shop. We didn’t want to talk about a technology that so many had tried before until we had products and test points. 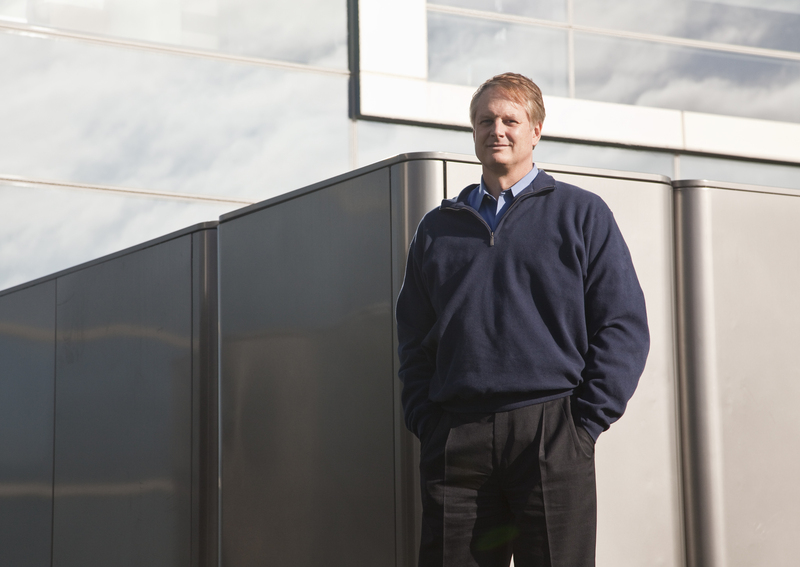 It took 8 years and $400 million to test and make sure the fuel cell worked and get results from the customers. This is a day I’ve been looking forward to a very long time. 9:30 John Doerr, Kleiner Perkins partner and Bloom investor, takes the stage. Doerr: This is like the IPO of Google. Introduces a panel of customers. 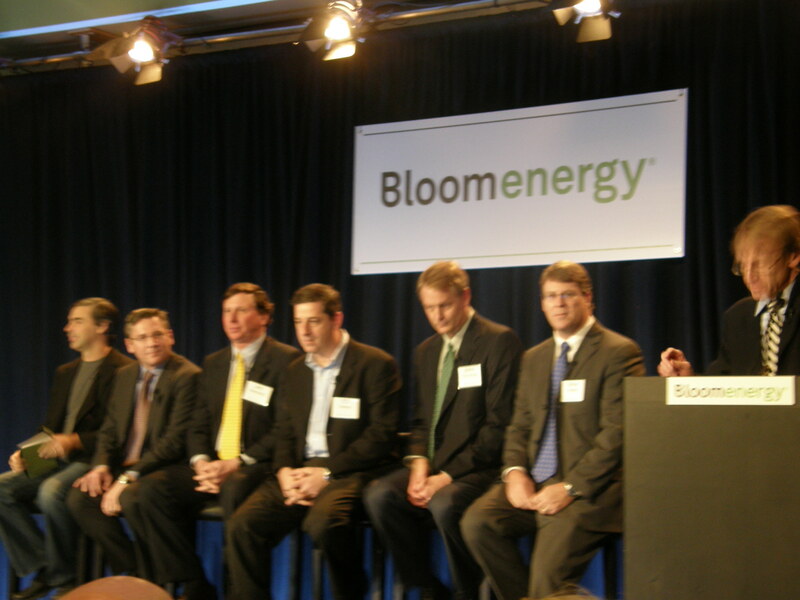 eBay’s CEO John Donahoe: This is a good day for Bloom but also for cleantech. We literally ran into Bloom when we were halfway through . Bloom powers 15 percent of the energy of this campus. KR and the team did everything they said they would do. Our employees love to be the beta customer for this. Wal-Mart COO Bill Simon: We aspire to power our units with 100 percent renewable energy and reduce our carbon footprint. It has to be profitable first and foremost. We also need scale. So the ability for us to take innovation of this sort is what our business model is. Rob Carter, CIO and EVP Fed-Ex: Installed Bloom box in Oakland Fed-Ex hub. We met them moving stuff around in the early days of the company. We’ve got a 5 kw array to match the Bloom box so we can take it almost completely off the grid. Brian Kelley, Coca-Cola: One of aggressive goals is to have measured our carbon footprint in 2004 and have same carbon footprint as 2015 — even with growth. We decided to put a Bloom box at our Odwalla juice plant and power 1/3 of the plant. Jim Kennedy, Cox Enterprises: Solar makes good financial sense for us, and when we heard about Bloom we thought this is too good to be true. And we decided to try. We installed 4 units at KTVU in San Francisco. It’s been working for over a month now. Powers 70 percent of the facility and we can do it cheaper. Larry Page, Google: First customer at Bloom. I was surprised. Our facilities manager said oh theres some fuel cells generating electricity. I didn’t have to know about it. We didnt have to call the mayor, etc, which we have to do for some other renewables. People thought they were transformers. They were easy to deploy. That’s the beauty of this product. 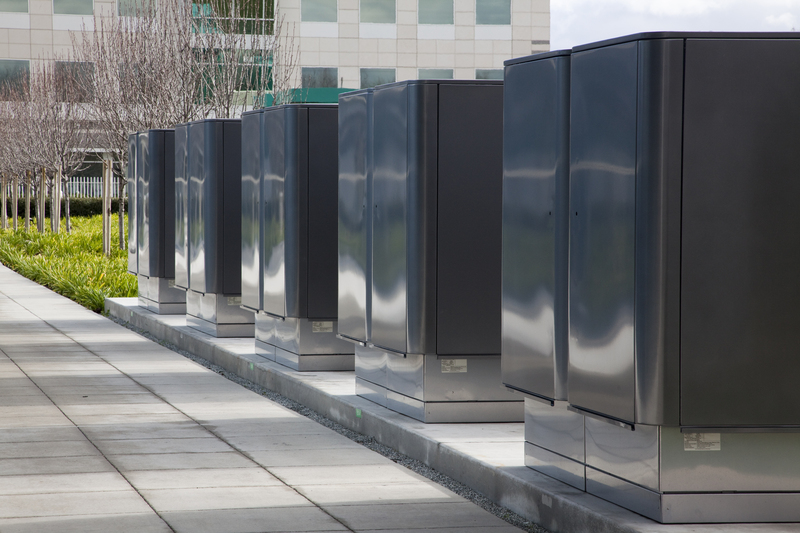 Distributed power is a big deal. I’m a big supporter of this. Id love to see us having an entire datacenter running on this some day. This is a breakthrough product. I was looking for what next to do and John Doerr said why don’t you come and see whats going on with Kleiner Perkins. Five years ago I first visited Bloom in a garage. Bloom is exciting because this can help people move up in the middle class — in China they are building out massive amounts of power — clean and dirty — and they want to buy things that consumer energy. I see this (Bloom) also in rural African villages and in homes. My wife keeps complaining that I won’t buy a backup diesel generator – I said honey just wait for a Bloom box (joke). Over the years I’ve been very excited to work with Bloom, sometimes I give KR lectures — I’m still a general. But I am excited to be out of hiding. We’re not hiding anymore. Bloom previously announced some large tech company customers like eBay (s EBAY) (the unveiling event is being held at eBay’s campus), Google (s GOOG), Wal-Mart, Fed-Ex, and Staples, but Bloom says in the press release material this morning that it has some other impressive customers including Bank of America (a BAC), The Coca-Cola Company, and Cox Enterprises. Other stats from the press release materials is: “each Bloom Energy Server provides 100 kilowatts (kW) of electricity,” and “customers typically expect a 3-5 year payback on their investment from the energy cost savings.” Other math on the Bloom Box return on investment from the Oil Drum puts the ROI more at 15 years (perhaps 3 to 5 years is with the state subsidy). Can someone provide a wind/solar power comparison as it seems to be very expensive in comparison (i know it provides energy on demand, but perhaps a new battery system would work out better for solar). For solar PV panels you can use $5,000-$6,000/kW for installed costs as a rule of thumb. Really big central plants may be able to bring those costs down a bit, but as a general rule, you’re safe with those numbers. For Wind… you’re looking at $2,000-$2,500/kW installed. Thanks for the info Bilsko, also we have to factor in the cost of the fuel for the Bloom plant, it needs natural gas and that isn’t free. Frankly I don’t understand what the hype is all about. I don’t want to come off like I’m anti-Bloom or anti fuel cell, because I’m not. For very rough estimation, I would say that a combined cycle gas plant is about $1,500/kw. Transmission and distribution upgrades are about $500/kw. And, if I brought a $2,000/kw combined cycle project to my board, they would push me out of the room because I was 20% too high. Granted I live in the midwest where I could be low, but I don’t think I could be that far off. It’s too bad, because I am a big fan of distributed power. We don’t need more power lines around. 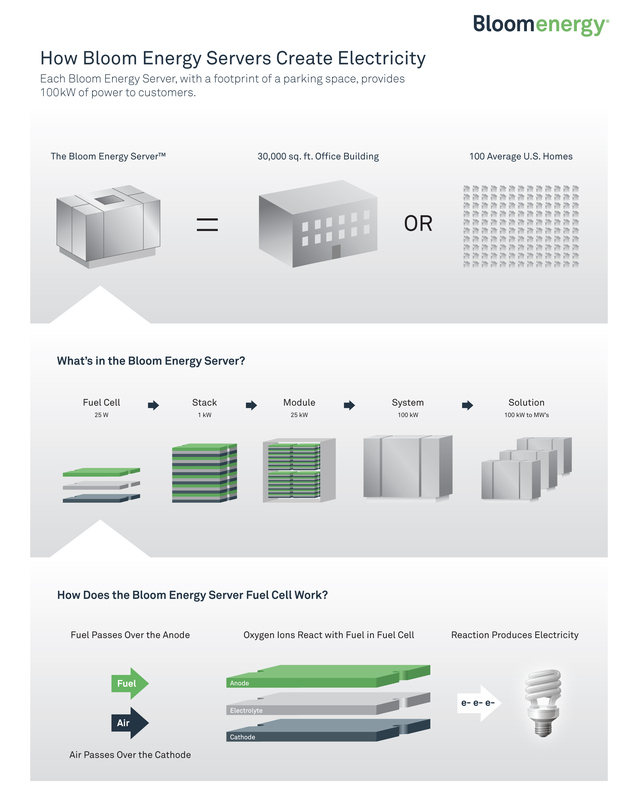 We just need fuel cells that are closer to $1000/kw installed cost rather than $10,000/kw. I’m not trying to argue that the Fuel Cell from Bloom is cheap ($8,000/kW…who are they kidding, really?) but I will put my chips with other forms of DG (recip engines for smaller applications, turbines for 5MW and up) over big central power any day. But since this post is about fuel cells, I will say that there are scenarios where fuel cells become economically viable options. The incentives in Connecticut, paired with the 30% ITC grant will essentially buy a fuel cell down to the same price as a nice recip from, say, Jenbacher. Add in the MACRS accelerated depreciation and make sure you’ve got a nice high capacity factor and offtake for thermal (ie. winter heating and absorption chilling) and you can come up with a pretty decent IRR and debt-coverage ratios. Katie – thanks for the followup. As for customers only wanting electric output….uhh, OK…I don’t know that I’d let that dictate the design of this kind of product, but alright. It just seems like an awful lot of wasted heat that could be put to good use. As for the second point, that the heat is used in the process – you’re right (or rather, they’re accurate in saying that) Fuel Cells do use some of their own heat output in the reformer – heat’s needed to get useable H2 from the natural gas (CH4) so any fuel cell that uses a reformer will divert some of the heat output to that task – companies like UTC and FCE list all of their heat outputs as heat available net any used for the reformer. It could very well be that they’re diverting nearly all of the useable heat to the reformer to bump up the H2 output from the natural gas and therfore improve the Electric efficiency…I don’t know. One good thing about SOFCs is that they can take both H2 and CO as fuel sources – unlike other types which cant work with CO. I’d be curious to know if they have any plans to get Bloom’s model working with CO as an input fuel. One other thing that I forgot to add to my original comment was an observation on the emissions profile. Its a mixed bag for the Bloom unit. While they do better with CO2 emissions (about .35 tons/MWh compared with .50-.55 tons for the UTC and FCE units) it’s not any better on NOx emissions. NOx emissions can be dealt with through SCR, but that costs more money (like $100-$150/kW more). @Bilsko, In the Q&A session after the media event, a reporter asked KR specifically if there would be thermal output for the boxes and he said his customers had expressed that they wanted straight electricity. He also said the heat generated is used in the process, but didnt elaborate. @Tyler, KR meant that some day they would make Bloom boxes (now being marketed as the Bloom server) that would complement a home solar system. 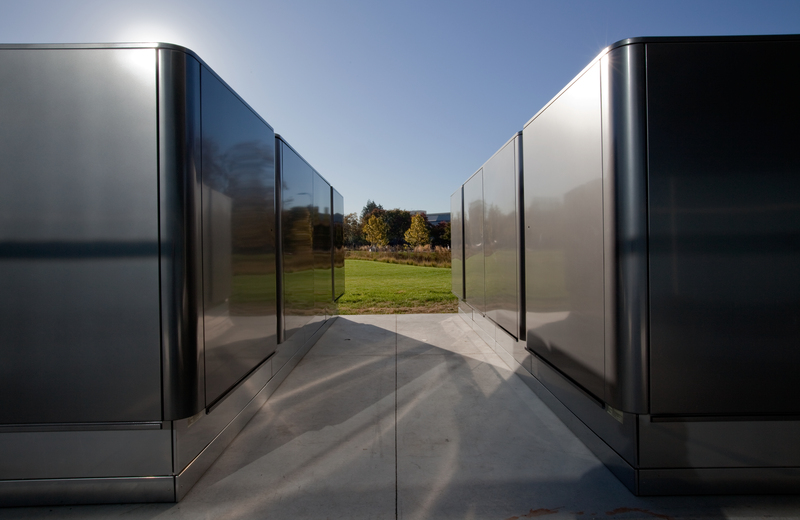 — According to the Bloom Data Sheet for the 100kW unit, there is no thermal output from this unit. Solid Oxide Fuel Cells (SOFC) operate at some of the highest temperatures of any type of FC, so why there is no attempt to capture the waste heat via Heat Exchangers, doesn’t make any sense. — There aren’t any cost figures on the Bloom site, but the CBS piece said they’d run around $800k per unit (Lets just disregard all of the other project costs for now and focus on the equipment costs -and we won’t worry about the 30% ITC grants or any other capital offsets either). At $800k per unit, that’s $8,000 kW. I can buy a 400kW unit from UTC power for about $1.9m. That’s $4,750/kW…for a unit that gives me electricity and heat! — Lets assume that the unit is used for baseload power (ie. 100% capacity factor) and that we can expect 93% uptime (a big stretch for new technology, but other fuel cell manufacturers claim 95% uptime, so lets give Bloom the benfit of the doubt). So annual electric production will be 814,000kWh. Assuming I can get 7% 15-yr financing on the $800k capital cost then I’ll need to be replacing 11c power just to cover debt repayment! That’s before and O&M or other costs. I realize that these comments make it look like I’m staunchly opposed to the Bloom product and Fuel Cells in general. While I’m not terribly excited about Bloom’s product for its own merits…it is good to see more players in the Fuel Cell market. Competition will hopefully accelerate the much-need cost curve decline for fuel cells to make them a good option for DG projects. Noticed also in the data sheet it’s ideal operating temperature is zero to 40 degrees C. An “extreme weather kit” is available, though I’m not sure what that entails. Just wondering if in colder climates — i.e. more than half of U.S. during the winter — this system is going to work, and if it does, will it have problem? I’m not sure I get it. $800,000 for 100kw seems wildly expensive. A centralized, natural gas-fired combined cycle unit could be installed and it would not cost fractionally this much on a $/kw basis (including transmission). Am I missing something? A factor of 10 maybe? You’re right $8,000/kW is really high….but the costs for new gas-fired central power + T&D aren’t that much lower. Say about 2500-3000/kW for generation, another $2200 for transmission and another 2500-3000 for distribution upgrades… its certainly in the ballpark. This is an excellent write up. Brilliant strategy I have to say by Bloomenergy to work with a local media station and have the test ready to show that it works. Very impressive, looking forward to future results. Thanks for the nice writeup. The “oil drum” estimate assumes 80% conversion efficiency for the Bloom box. The stated efficiency per Bloom’s data sheet is 50%. Therefore the actual payback time is about 24 years. Even with 50% tax break, it comes to 12 years. The Green PR op for the slate of Fortune 500 customers – priceless. Perhaps the “purchase price” is set high but comes with “cash-back.” Since the Calif subsidy is 20% off the purchase price, this would lead to better ROI. Very interesting posts. I consult for Wall St on emerging technologies (Ultracaps, flywheels, Lithium/Nickel/Fe batteries/fuel cells, solar/wind, etc. I was involved in one of the first fuel cell projects for data center critical power some 15 years back or so. Not much has changed. Fuel cells fail at 2-3X the advertised rate due to aggressive chemical action unavoidable in the technology, they never make any economic sense (no possibility of payback without government intervention), cannot be used standalone unless you want constant outages, have maintenance costs no one ever speaks to, and like solar make no sense on a grand scale. Nuclear makes clearly excellent sense for macro power – greener than fuel cells or any technology, guaranteed payback, no outage issues, easy maintenance, even with spent fuel disposal (concrete casing & deep dump is cheap & totally effective.) CBS should put aside their liberal bent and do a real piece on that. What’s he getting at? It he talking about using solar to complement the Bloom Energy server, or to produce (through electrolysis) hydrogen that can be stored and used as required? Also, it would seem to me that gas utilities stand to benefit most from this? Dunno, I’ll keep an eye out. OK, Katie. I have a side bet. Did Dvorak show up in the audience?